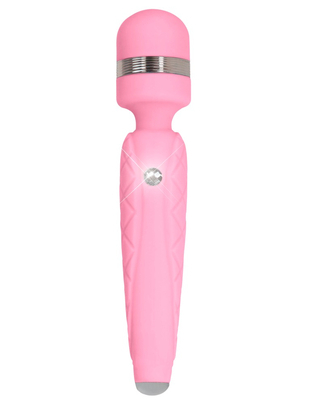 There are thousands upon thousands of vibrators in the world today. Only a select few are powered by the incredible technology behind PowerBullet® vibrations. If you’re looking for deep, rumbling sensations with a name trusted for its power and quality, look for the PowerBullet® logo on the box. The Pillow Talk, a glamorous line of super silky rechargeable vibrators, is powered by PowerBullet® so you can enjoy luxurious intimate massage and be absolutely sure about getting your satisfaction with the most experienced power lover.